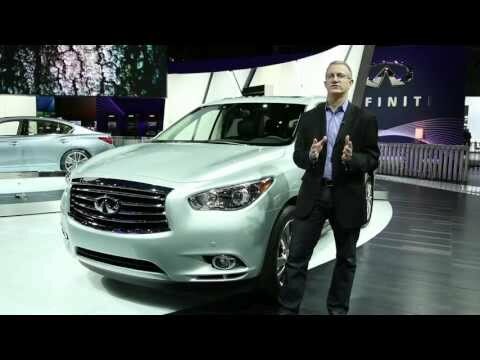 Offering a more luxurious take on the 2014 Nissan Pathfinder Hybrid, Infiniti has officially unveiled the 2014 QX60 Hybrid crossover at the New York Auto Show. It's clear to see the Pathfinder's proportions in the new Infiniti, but that's where the visual similarities end. 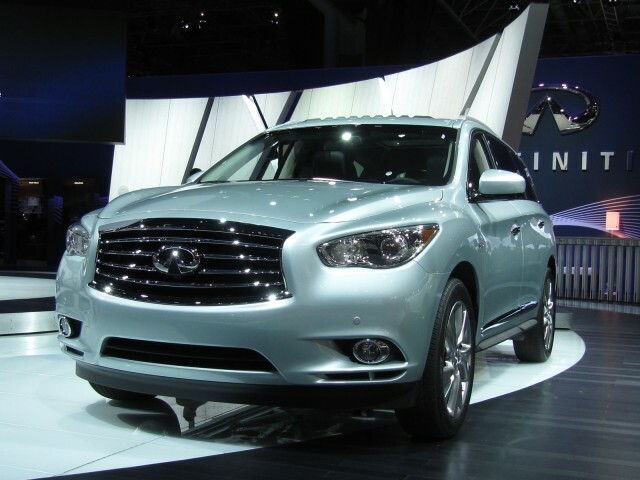 The QX60 is the latest Infiniti to show influences from the Emerg-E plug-in hybrid sports car. A large grille dominates the front end and is flanked by standard High Intensity Discharge xenon headlights, while taut curves in the flanks lead into narrow LED rear light units. The effect is more of an acquired taste than the chunky lines of the pathfinder, but the styling ties in well with the rest of the Infiniti range. Subtle hybrid badging denotes the QX60 Hybrid from its non-hybrid counterparts. The QX60 Hybrid uses a one motor, two clutch drive system adapted to front or all-wheel drive. At the center of the drivetrain is a 2.5-liter supercharged four-cylinder engine and 15 kW (20 horsepower) electric motor, sending its power through a continuously-variable transmission (CVT). Total system output is around the 250 horsepower mark. A lithium-ion battery pack feeds the electric motor, but as we found out in our drive of a prototype version last year, the Infiniti is too heavy and the electric drivetrain not powerful enough to allow the QX60 Hybrid to run on electric power alone. 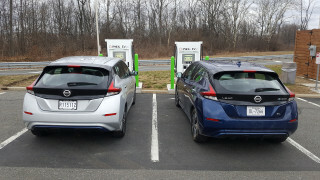 That may deter some drivers expecting the full hybrid driving experience, with electric-only running at low speeds. The QX60 will shut its engine down when not required though, and as we were told by an engineer on the prototype drive, it will only too happily run on electricity down a hill. When not going downhill, four drive modes are available--Standard, Sport, Eco and Snow. The upshot of all this is estimated combined economy of 26 mpg, and a total range from the 19.5-gallon gas tank of over 500 miles. The QX60 Hybrid retains the utility of other QX models--the battery is mounted under the third-row seat, ensuring passenger legroom is unaffected. And as the third row implies, the QX can take seven passengers with flexible seating options. The second row of seats can be adjusted fore and aft in a range of nearly 6 inches, depending on your passenger or cargo needs. Both second and third row seats are split-folding (60/40 and 50/50 respectively) while each row also reclines. In the front row you'll find a driver-oriented cockpit with leather trim and either 'Kasane Washi' (no, we don't know either) or Maple (yup, heard of that) accents, depending on specification. In the hybrid, special information screens display details of the hybrid drive system. The driver gets an 8-way electrically adjustable seat, and the passenger gets six degrees of adjustment. Heated and cooled seats are an option, as are heated second-row seats and a heated steering wheel, on the HEV Deluxe Touring Package. A host of other features including RearView Monitor, Bluetooth, USB, SiriusXM Satellite Radio and more are all standard.